Thing i like about this is i feel i got the shading spot on. wow! this looks so cool! 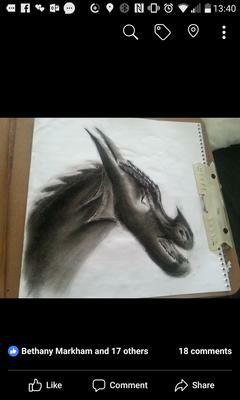 This dragon looks like as if it just came out somewhere form other dimension :) Very nice artwork!